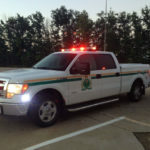 OPP launches commercial vehicle safety blitz on Highway 401 – Enviro-Eze Transport Inc.
Ontario Provincial Police launched a commercial vehicle safety blitz on Wednesday. Sgt. Kerry Schmidt of the OPP’s Highway Safety Division said the idea is to spread awareness of the importance of road safety. The blitz comes on the National Day of Remembrance for Road Crash Victims. Schmidt rode along in an OPP transport truck on GTA highways on Wednesday morning to see for himself how vehicles are sharing the road. During the blitz, OPP officers and Ontario transportation safety officials will be doing safety inspections. 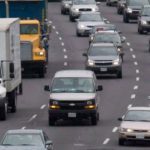 “We’ve obviously seen some pretty big collisions in the last little while involving transport trucks and the ensuing traffic delays and road closures that come as a result of that. We certainly don’t want to see that continue,” Schmidt told CBC Toronto. “We just want to get some more awareness out there about the importance of everybody sharing the road. Transport trucks, four wheelers and cars and everyone, they are all trying to make their destinations and deliveries,” he said. The OPP blitz will be based out of the commercial vehicle safety inspection scales on the Highway 401 westbound at Trafalgar Road in Milton. Officers will be “all over the area” to flag trucks for inspections, Schmidt said. A total of 291 people have lost their lives in crashes on Ontario highways so far in 2017, he said. Last month, three people died in a crash on Highway 400, south of Barrie, Ont. The OPP believes a transport truck hit vehicles that had slowed down because of an earlier collision. The crash involved two fuel tanker trucks and at least three transport trucks. 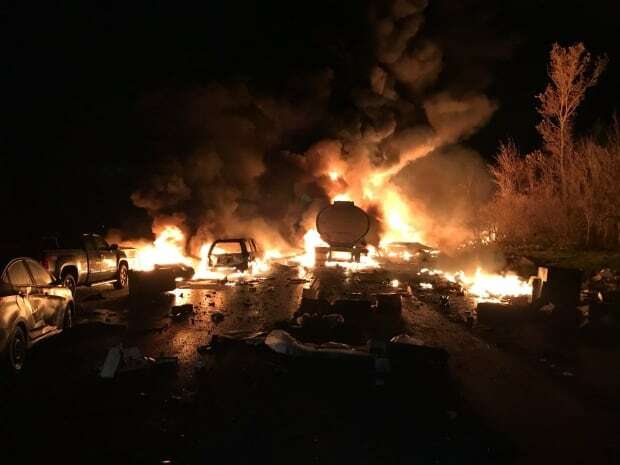 That crash caused a 14-vehicle pileup, an explosion and a massive fire that closed the highway in both directions for hours. Schmidt said he has advice for drivers: be alert, be attentive, leave space between vehicles. He said one thing that the OPP sees all the time is that traffic slows and drivers don’t stop in time. “Traffic can stop in an instant,” he said. The national day of remembrance is organized by the Canadian Council for Motor Transport Administrators, an organization focused on the administration, regulation and control of motor vehicle transportation and highway safety in Canada. 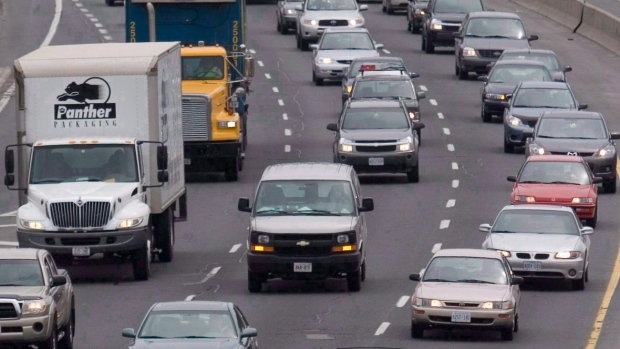 The group estimates that five people die on Canadian roads every day. It says more than 1,800 people are killed and 10,200 are seriously injured in road crashes every year. ← Road Check is Baaaack!